Welcome to Arequipay Backpackers House, a youth hostel where hospitality and personalized service are combined to make you feel at home. 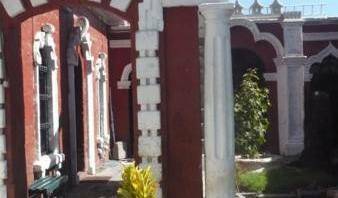 Our hostel is an old colonial house in Arequipa who is waiting for tourist from different countries. Beautiful old house only four blocks from Main Square "Plaza de Armas". Pirwa Park Hostel in Arequipa is situated just 3 blocks from the Plaza de Armas, in the heart of Arequipa´s historical center. Super friendly service, best and safest location in Arequipa, located in the heart of downtown historical Arequipa we are just 3 blocks away to the Plaza de Armas. Located in the heart of the historic center of the city, only three blocs from the main square, you will find the Hostal La Posada del Parque. A large colonial house specially remodeled to offer you a friendly service. Stay in a small cozy hostel right in the monumental area of Arequipa, just 1 block from Main Square. Hostel Mama Claire, located in the middle of Arequipa, only 4 blocks from the main square. Get one of the best PANORAMIC views of the volcanoes and the city with a relaxed and comfortable stay in our hotel, close to downtown, quiet and secure area, FREE breakfast and FREE Wi-Fi Internet!! Here you can find that you need for a perfect stay in the white city of Arequipa. Hostal Regis es una casona colonial estilo fraces del siglo pasado, Ubicada en pleno centro de la ciudad a dos cuadras de la plaza de armas y media cuadra del monasterio de Santa Catalina muy proxima los mejores restaurantes de la ciudad, bancos, etc. Hostal Le Foyer, located in Historical Center, Arequipa, is a popular choice for travelers. From here, guests can enjoy easy access to all that the lively city has to offer. A warm, welcoming, well-located place to stay & still a place to relax. An oasis in the city. A set of bungalows surrounded by beautiful gardens located in a centric place, just a few blocks from the Main Square, tourist places. English-speaking staff. Carpeted rooms, Tv color, wiht cable and telephone, hot water 24 hours, in each room, Medical attendance and tourist orientation. National a International calls, fax and internet. Laundry and garage. Room Service 24 hours. The Hotel " La Cuesta de Cayma " is a cozy, sure and comfortable place, for visit Arequipa, and you get a 35% discount for visit Santa Catalina Monastery. Cosy and warm 3 star hostel in Arequipa, Peru. are you looking furnished minidept in Arequipa-Peru(1 to 6 months)cheap prices per month. Beautiful B&B along the river, small garden, rooms with private balcony with splendid view on nearby volcanoes. Home Sweet Home is recomended by the Lonely Planet among others traveller guides. We have received many congratulations because of the quality of the services we give. 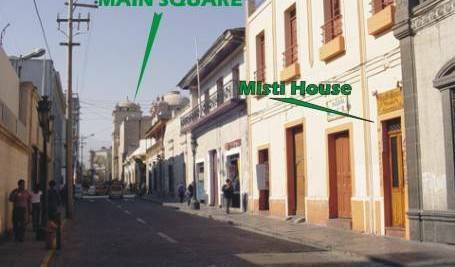 El hostal Mama Claire esta ubicado a 5 cuadras de la plaza de armas de Arequipa , en el barrio tradicional de San Lazaro. En este te sentira como en casa con sus ambientes calidos y acogedores. The only genuine backpackers hostel in Arequipa! A hostel by backpackers for backpackers! Colca Hotels are ubicated in the heart of the Colca Valley. The most near hotel to the Cruz del Condor viewpoint in Colca. 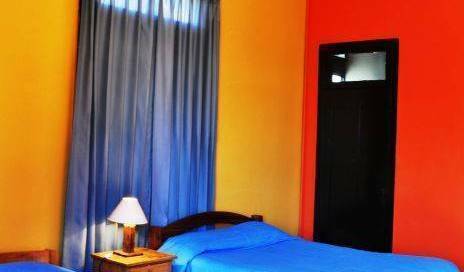 JANKANOO INN Lima Hostel is located at 5 minutes from Lima International Airport. A new tourist hostel with 15 full equipped rooms. 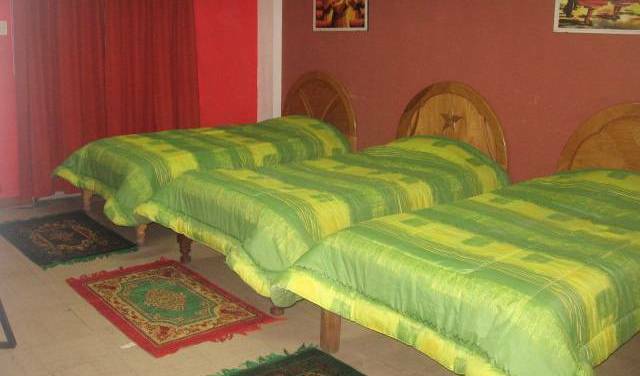 Chacha International is a hostel at the heart of Chachapoyas. We provide overnight accommodations for large groups up to 20 people. Está ubicado en el tradicional distrito de Chimbote, a dos cuadras de la plaza de armas. Desde nuestro hotel, usted tendrá fácil acceso a los principales centros culturales y comerciales de nuestra ciudad. Mama Quilla is located only 15 minutes of the city of Puno, in the picturesque town Chucuito along the side of Lake Titikaka. Experience this high quality hostel with great facilities and fun atmosphere in the magical Inca city. Milhouse Hostel Cusco is trendy and exciting: a truly wonderful hostel to stay at. Elvas house. Ofrece hermosos departamentos completamente amobladas para turistastas nacionles y extrangeros desde 10 dolares por persona a 2 cuadras de plaza de armas de cusco tenemos apartamentos de 1, 2, 3 dormitorios. Siente la magia y el placer de dormir en un lugar tranquilo, alegre y gradable. Samay Wasi Cusco is located in the touristic neighborhood San Blas, close to main square "Plaza de Armas". Our rates include FREE PICK-UP. Sungate Hostels Cusco is a very nice hostel that offer many facilities, such a 24 hours reception, free internet access, kitchen, bar and restaurant. Huge colonial House, Great garden, great views.... unforgettable stay! Bright Hostels is a nice place for rest, special discounts if you reserve also for our hostel in machu picchu. Included: breakfast, Hot showers all day, kitchen facilities, fast internet, etc. estamos a cinco minutos de la estación de trenes y buses tiendas restaurantes informaciones y baños termales. Le damos la cordial bienvenida a nuestro hostal , ya sea para una estancia larga o corta , nuestra casa está completamente amoblado. Estamos ubicados en el centro histórico de la ciudad, a tan sólo dos cuadras de la plaza de armas. best family house in Cusco: cheap rooms with clean service. WONDERS HOSTEL CUSCO has a Colonial-Republican architecture giving our guests a peaceful environment with public spaces, comfortable and rustic character, spacious rooms, good services and the finest tourist information to make that you feel like at home. Ubicados en pleno corazón de Cusco, con ambientes cómodos y confortables. San Blas Backpacker Hostel , located 5 minutos from the main square with an amazing view of the city , a very confortable Hostel where you can relax and feel at home with our services. One of only a few hotels conveniently located in the main Plaza de Armas. The hostel provides confortable rooms, with a charming and pleasant enviroment, where you will really enjoy your visit. A solo tres cuadras y media de la plaza Armas del Cusco y claro contando con media cuadra de escalinatas esta privilegiada ubicación del hostal CUSCO VIEW POINT permite a nuestros huéspedes gozar de una vista espectacular del Cusco. Mister Manco Capac is nice and cozy hotel, modern infrastructure with inka’s details, whose concept is to provide an attention very personalized and warm, and total confort as if you'd be at home with your friends. Quechua Hostal is a new hostel located in the historic centre of Cusco. Hotel Golden Inca Cusco is an elegant and modern hotel, it was finished in the year 2010 and has accomplished its goal of making the guests enjoy their most memorable vacation in Peru. Welcome to Net House Bed & Breakfast a new way to stay in Cusco, located 3 Blocks from the Main Square . Our Lodging makes you feel Comfortable and very happy during your Stay in Cusco. Beautiful and elegant hostel with pleasant and welcoming ambience. In the center of the magical city of Cusco only half block from the Main Square is Hostal El Triunfo where you will find a warm welcome and will feel at home. A Family owned hotel in the Heart of Cusco city centre. In the historic center of the legendary city of Cusco, Hotel el Rosal offers you a safety and confortable stay. Hostfamily Cusco, bed and breakfast in Cusco, Cusco lodge, Peru. El Balcon, or 'The Balcony,' is situated 3 blocks from the main Plaza de Armas with a fantastic view . A colonial house from 1630 carefully restored in 1998 with the intention of offering first-rate lodging while respecting the original architecture . Award winning cosy colonial hotel boutique, twenty exquisitely decorated rooms, unique central heating system. Restaurant El Patio. Restaurant-bar-terrace El Mirador. Swiss management. Centrally located (2 blocks from main square) , Friendly Atmosphere, Rustic Style, Rooms with private bathroom and hot water 24hrs. Wi Fi. Great Hostel with a panoramic common/breakfast area and views of Cusco. A comfortable, safe and quiet hostel located just 10 minutes walk from the main Plaza de Armas. All the comforts of home! Hotel Cahuide gives a mistical experience between inka walls, offer comfort and quality service and space, located in a tranquil area, only three blocks from the main square. Hotel with 16 rooms with private bathroom in Cusco-Peru , colonial style. Offers first class facilities with a distinguising andean touch. Good budget Hotel option, within downtow, all basic services for tourist. our accommodations are beautifully designed and feature the lastest facilities: gardens, ample rooms, privacy and clasical comfort. Turistas, voluntarios, viajeros, backpackers del mundo, bienvenidos a SAMAY guest house, en la ciudad de Huancayo Perú, país de los INKAS. Casa Fresh is your place in Huanchaco to rest after a day of surfing, relaxing by the beach, or exploring the many rich cultural sites surrounding Trujillo. The Hostel Cocosbeach is located in front of the sea in the beautiful beach of Huanchaco, ideal zone to visit the main tourist attractions of the city. The comfort of our installations guarantee that your stay among us will be completely pleasant. Is one of the most comfortable new places to stay in the Peruvian Andes. Specialists for backpackers, for solo travellers to join a group for trekkings. Comfortable dorms for ladies and gentlemen. Unbelievable Friendly Bargain Hostel in Huaraz. We make you feel like home! Highly recommended in Lonely Planet, Foot Print and Routard!! 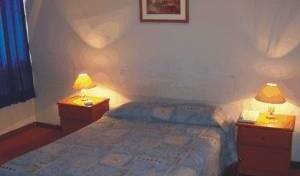 Welcome to Hostal Quintana is located two blocks from the Huaraz Main Square. Banks, internet cafes, post office and the market are only a couple minutes walk. You can enjoy mountain views from the third floor deck will inspire you to explore the andes. Your home in the Amazon rain forest! We also offer tours and expeditions. Contact us for more info. Eco-lodge located along a pristine Amazon tributary. Outstanding facilities. Offers adventures in birdwatching, hiking, and canoeing. ANSWER THE CALL OF THE AMAZON - Where nature is nurture! Amazonian Trips organizes exciting adventure trips to Chullachaqui Lodge in the heart of the Amazon Rainforest. Unforgettable! English spoken. Owners personal attention. Best Location. Best Staff. Security. Cleanliness. FREE AIRPORT PICK UP! FREE INTERNET! And helpful advice for your trip. Casa familiar brinda servicio de alojamiento en un lugar seguro y cerca al aeropuerto. Magnificent ocean views, great nightlife, only a one minute walk away with retaurants, bars, discos, live music , BUT set in quiet scenic Colonial / bohemian location away from noise. We are a young, dynamic and innovative company which offers pleasant, economic and safety accommodation: our home will be your house. If you wish to relaxe in a quite area of Lima without missing the popular tourist and night life spots, feel welcome at any time. We are MamaJuana, a house of guest design for you to have the best and most pleasant stay while you travel in Peru. We are located in Barranco known as the bohemian distrcit. You can find here a variety of rooms and the best common areas with many things. Welcome to the cozy "335 BACKPACKERS" For you we have prepared a confortable bed. In 335 you are always well fed and you have a truly funny vacation. !WE ARE JUST 5 MINUTES FROM THE AIPORT!-We Offer many rooms clean, Comfortable and VERY CHEAPER! Casa Hospedaje muy cerca a restaurantes, cines, supermercados, transporte. B&B TRADICIONES... we pride on our tradition of hospitality and good service! Quiet Small hotel close to Lima Airport. Best option for travelers with an early flight in the morning. We pick you up! 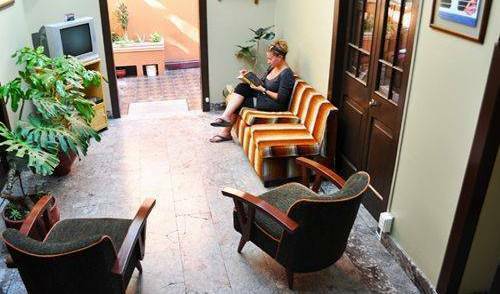 We are happy to WELCOME you at Casa Nuestra "Our Home", a cosy and artistic B&B situated on Barranco, a quiet, secure and bohemien area of Lima, close to Miraflores, with all the necessary FACILITIES. Discover Lima and enjoy our friendly service! - Familiar atmosphere in Hostal Las Camelias! We, at the Nomade Backpackers Hostel, are travellers too and have tried to build a hostel that fullfils all our travelling expectations. We started it some months ago and now its finished. We hope you like it as we do. 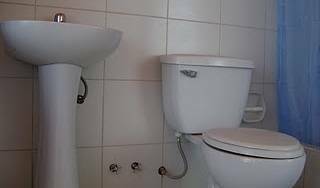 Playa y sol a sólo cinco minutos de caminata, habitaciones con baño privado equipadas con cómodas camas, ropa de cama premium 180 hilos 100% algodón pima, juego de toallas 100% algodón, agua caliente 24 horas, Wi-Fi. Inti Wasi Apartments is located in San Isidro, just 3 blocks from Financial Centre of San Isidro and The Westin Hotel. The Hotel is located just one block away from the pedestrian street called "De La Union Street" where you can find department stores, a wide variety of restaurants and unexpensive eaterings, internet places, crafts shops, and much more..
"Your home away from home in Lima - Perú". El Hostal Bonbini esta ubicado en el centro de Lima, a 2 cuadras de Palacio de Gobierno, Catedral de Lima y otros lugares turísticos. El Hostal Bonbini cuenta con 12 habitaciones, dobles, simples y triples, contamos con restaurante. HOTEL SOUL MATE INN *** YOUR DREAMED STAY !!! An apartment complex surrounding a beautiful and heated pool. We offere suites, studios and apartments of 1, 2 and 3 bedrooms. All fully furnished and equipped. Ideal for short or long stays! For single traveleres or families! FOUR STAR HOTEL LOCATED IN SAN ISIDRO RESIDENCIAL AREA. QUIETE AND SAFE AREA FOR WHO WANTS TO ENJOY A PERSONALIZED AND WARM HOSPITALITY. Hotel San Blas, offers a comfortable and modern infrastructure, equipped with all the services you require and need in order to make your visit memorable. Garden Hotel is situated in the financial center of Lima, in the district of San Isidro. 3 Stars Peru Lima Hotel located in San Isidro the attractive business and residential district of Lima. If you are looking for a good Lodging. Ask for Reservations Now. Gran Hotel Bolivar is located in the centre of downtown Lima. It is close to Plaza San Martin and offers free Wi-Fi. Shops, restaurants and transport links are within walking distance. We are strategically located in the district of Miraflores, very near to the Costa Verde Beaches, in Lima, Peru. Jose Antonio Hotels began operations 18 years ago by the openning of their first hotel in Lima. Welcome to San Martin Apart Hotel. Please browse our photo gallery or make a reservation online for your next visit to Lima, Peru. Thanks for taking the time to consider us. We are located in the centre of town, just two blocks away from the Main Square. 335Backpackers está situado en el barrio de Miraflores y ofrece alojamientos con conexión WiFi de alta velocidad gratuita y desayuno gratuito. Las habitaciones son acogedoras, limpias y calidas. Brand New 3 Bedroom Apartment Close to Lima Airport and all Amenities. is situated in Miraflores, one of the most exclusive residential and comercial district, within walking distance of shopping malls, restaurants and nightclubs, and near by the financial centre. For savvy travelers seeking value for money but still needing something more than a standard hotel stay, we are pleased to introduce 3B. Tarifas super exclusivas, tenemos 4 opciones de Alojamiento, De luxe, Casas de Campo (2), habitaciones económicas y campamento. The Inca Civilization developed the most important culture in South America. Terrazas Del Inca B&B Hostel is located in this area and was constructed two years ago. We are centrally located in the town of Machu Picchu also known as Aguas Calientes. Located in the upper village, allowing you to enjoy a privileged view, lies in a strategic area and very safe, clean and close to the curative baths of Aguas Calientes. Hostel for backpackers, where you feel the force of our positive energy and peruvian hospitality. Its beautiful setting and friendly staff provide an atmosphere in which one can truly experience and enjoy the charisma of Peru and its people. The Inka Lounge Hostel is located in Miraflores, one of the most nicest and safest areas in Lima. Say goodbye to bunk beds. TGH offers affordable rates starting at just US$ 7. 99. Comfort and style have never been this affordable. Come to The Gallery House Peru and enjoy everything this amazing place has to offer! Brand new - by backpackers for backpackers - all a mochillero needs in the heart of Miraflores, the satest area in Lima. Come and enjoy a nice relaxing time in a place that is second only to home. kkinacoperu-lodge or Guest House, is a family company, which is located in Miraflores (most important tourist district of Lima). The greatest place to put your head down while in Lima. A new thematic hostel, great service, friendly and relaxed atmosphere. Just what you need. The meaning of Zaguan is a kind of hall before the main patio, it was used in the ancient colonial buildings of Lima city. From this similar look comes the idea for calling our lodging as "El Zaguan". La combinación perfecta para la relajación, el servicio y la diversión en la zona. We are a family business; our mission is to provide our guests with a personalized and friendly service, maintaining competitive prices. Fully furnished and equipped unit in the heart of Miraflores. Vacation rentals. Our main objective is to make your stay the most pleasant environment, with brand new equipment, moderm, with a pleasant decoration, show the highest quality standars in the services we provide. El Runcu Inn is a very nice, clean, and safe hostel in the heart of Miraflores, two blocks away from the Pacific Ocean. Enjoy a great stay in the heart of Lima, Miraflores. A modern hostel, managed with the experience gained from our hostel in Europe. Enjoy is ideally located in the heart of miraflores, the touristic hotspot and comercial centre of Lima. Studio Apart. in Miraflores. 6 blocks from Larco Ave., Larcomar, the cliff and beach downstairs. Villa Ponciana Boutique Hotel inaugurated in 2008, is situated in an exclusive and secure Residencial Zone near parks, in La Aurora, Miraflores, Lima. DeVille Inn Hotel offers you a pleasant and peaceful environment. The Boulevard Hotel & Casino extends to you a most cordial welcome and invites you to sample a delicious Pisco Sour at the Bar Le Bar on the first floor, where you will start feeling at home. Hospedaje Brabant:: a small, quiet, safe and inexpensive hostel in the centre of town, that offers travellers from all ages to spend a great time in Nazca. The Posada Guadalupe is a small and charming hotel is located in a quiet and a good place to rest. Where the owners will take good care of you. Our many years of experience guarantee a pleasant and safe experience. A small and quiet family run hostel only one block from the Main Plaza. 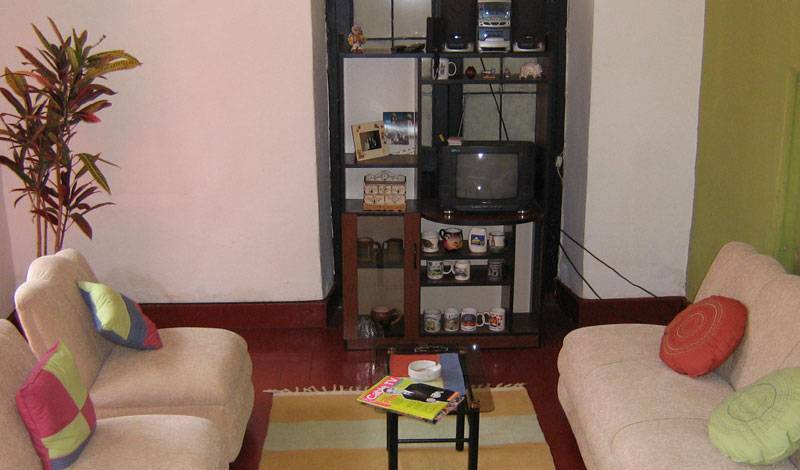 We are a family hostel where you will feel at home, with a nice, clean and secure environment. We wait for you. We are a small family hostel, highlighted by some visitors with a quiet place to rest, feed and continue the journey. Most visitors are backpackers seeking cheap accommodations. We have facilities in some languages that help us with our visitors. The Hotel Chonta is located in the downtown of Puerto Maldonado City and offers an outdoor pool, free Wi-Fi and free parking is available on site. Maloka Sandoval Lodge is located in the heart of the amazon, approximately 12 Km. down the river and 3 Km. walking, away from Puerto Maldonado City. TAYKA HOSTEL offers a warm and welcoming as a guest expects far from home. Here you can find that you need for a perfect stay in Puno city, the Folkloric capital of Peru. Hotel Embajador is located in the heart of Puno and just 10 minutes walk from Lake Titicaca. All rooms are equipped with cable TV, private bathrooms with amenities , free Wi-Fi and room service can be ordered. 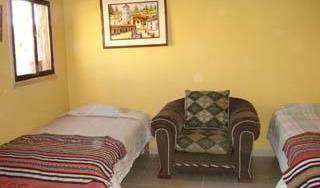 Ollanta Inn, is located in the center of the city of Puno, we offer comfortable carpeted rooms with private bathroom, hot water 24 hours, TV, internet, WIFI, we provide tourist information on all the attractions of the region . Camino Real Turistico is the best place to stay during your visit to Puno and you will enjoy it thoroughly. Camino Real Turistico is close to the shopping and commercial centres and is within easy access of Puno`s historical city centre. DON JULIO C. ubicado a dos cuadras de la plaza de armas, a espaldas de la catedral en pleno centro de la ciudad de Puno, donde disfrutará de una cálida atención de nuestras modernas instalaciones. La Hacienda Puno hotel is the ideal stay for rest while you stay in Puno city. Hostal Don Victor Puno Welcome to "Don Victor" Hostal, the most lovely place in Puno. This is the best option in the City of the Lake. The characteristics of this company demonstrate it this way. Hostal Residencial Tunupa invites you to spend unforgettable days in the city's highest sacred lake titicaca and we offer you our confortable rooms with an excellent view. Located in the heart of Puno city, within easy walking distance of tourist attractions such as museums, colonial churches, commercial centers, banks, restaurants, night centers, and other places of interest for our guests. The perfect place for surfers! Safe, comfortable lodging with great food and atmosphere. The “South Beach” Hostel, the friendliest and most welcoming hostel of the seaside resorts to the South, at a distance of 50km on the Panamericana Sur Highway (South Panamerican Highway), 40 minutes from the city of Lima, welcomes you. If you are considering a hotel, imagine an apartment: Comfort, Independence and Privacy in San Isidro, the most exclusive and business districts of Lima – Perú.